Snow Plow - Reach It! - Move It! - Crush It! 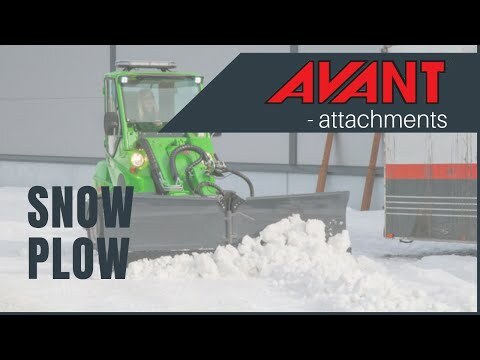 Avant snow plow is a versatile attachment for snow removal. It consists of two independently hydraulically adjustable blades. Both blades have a spring release mechanism in the lower part of the blade to prevent any sudden stops caused by frozen objects, well lids etc. The float mechanism on the mounting bracket guarantees that the blade follows ground as well as possible. Angle of both blades can be adjusted independently with a toggle switch from the driver’s seat.